Pomegranates are natural antioxidants. If you don't like to drink green tea, like me (yuck! ), it's nice to have an alternative. 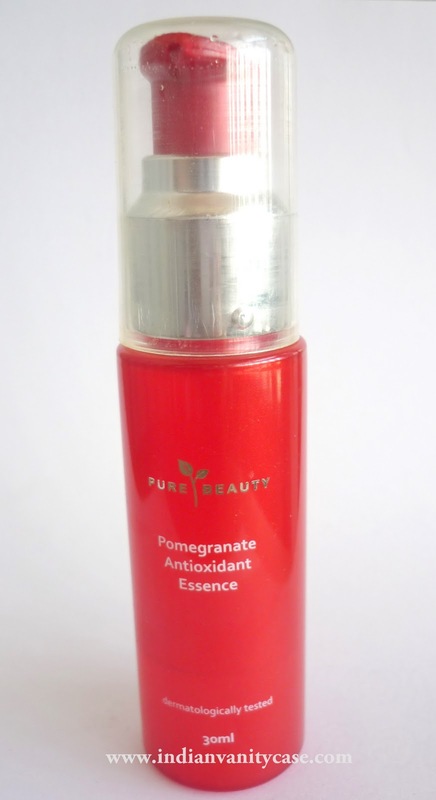 Pomegranate seed oil has amazing anti-aging properties, and is known as an 'elixir of youth'. What this Essence promises ~ Formulated with a natural herbal complex made from mulberry root, rice, green tea and pomegranate oil extracts, it allows every skin cell to experience the renewing power of nature, stimulates skin restoration and cell turnover effects. Day after day, it detoxifies and prevents signs of aging, so your skin radiates youthful vitality. What is Essence? Basically, a serum. Asians prefer to call Serums - Essence. Usage ~ Massage onto entire face and neck after cleansing. Use day & night. I love mulberries, I love rice, I want to love green tea, and I LOVE pomegranates, so this Essence was kinda like an answer to my prayers wishes. It has a thin water-like consistency, but it feels a little mucous-like as well (not the gross kind! :)) It smells really good, well, like pomegranates. My skin type ~ Combination/Oily, more Oily in summers. This immediately hydrates it after cleansing without making it feel greasy. The benefits ~ Truthfully, it's not a miracle potion, but it has erased some fine lines and I have noticed that my skin heals faster with this. Like, when I get pimples, they clear up faster after they've dried up, and they don't leave very obvious scars (except for one on my chin, which is also almost gone now.) It is gentle, soothing, and very moisturizing that most times I don't need another moisturizer over it. It makes a nice foundation base too. The Bad ~ It doesn't lighten dark spots or brighten complexion. Price ~ I forgot how much this costs exactly, but products from this range are really inexpensive ranging form RM 19.90- 43.90 (Rs.250-650). I think this essence was priced somewhere in between. I love the attractive red packaging. The creams in this range look like DKNY Be Delicious perfume. Repurchase? Yes, this is almost over. I regret not getting the eye cream last time, so I'm getting that too. It is an anti-ageing range. When I was testing them at the store, the SA cautiously told me, "It's for 40+"
I answered "So? I like using for 40+ products" and she was amused. I am thinking about getting the serum. Do you want to use pomegranate skincare products? 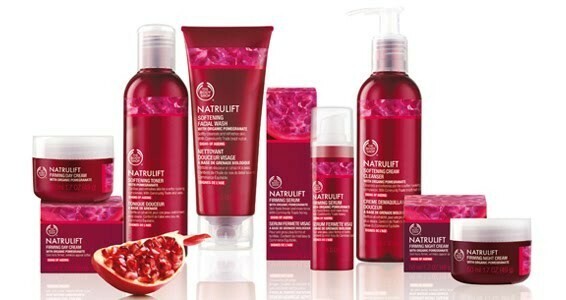 I've really been into pomegranate products lately! I just got the pomegranate face & body scrub from Fabindia last week! Haha "I like using 40+ products"... exactly how i feel sometimes...If yr already forty and start using anti ageing, it aint gonna do much..
last line was awesum...so I like using 40+ products..lolzz..
Hmm...the range sounds good..Watsons has quite good brands na..My sis got a scrub(their in house brand) and it is a wonder product for tanned skin..
Is MAC Satinfinish foundation any good? The colorsuits me but it brings out my acne and looks "put-on"
Thank you for the review. Pomegranate is one of the best antioxidants available. Good to eat and good to apply to the skin.